KIEV, August 29. /TASS/. A district court in the Ukrainian capital Kiev turned down a request to place Verkhovna Rada lawmaker Nadezhda Savchenko under house arrest on Wednesday. “Defense lawyer [Konstantin] Globa’s request to change Savchenko’s level of pretrial restriction from pretrial custody to house arrest… is turned down,” the Ukrinform news agency quoted the judge as saying. Ukrainian investigators claim that Savchenko plotted to carry out terrorist attacks in the parliament building and in the government district. If found guilty, she may face more than five years in prison. The Ukrainian Parliament, the Verkhovna Rada, stripped Savchenko of her parliamentary immunity and granted the go-ahead to detain and arrest her earlier in the year. A Kiev court put Savchenko into custody for two months on March 23, prompting her to declare a hunger strike. The court later rejected her appeal against the arrest and extended it for another two months. Savchenko, a former Ukrainian military pilot who had taken an active part in Kiev’s military operation in eastern Ukraine, was detained in Russia in June 2014. She had been sentenced to 22 years in jail over complicity in the killing of two Russian journalists in east Ukraine. She spent nearly two years in the Russian custody and was pardoned by Russian President Vladimir Putin on May 25, 2016. 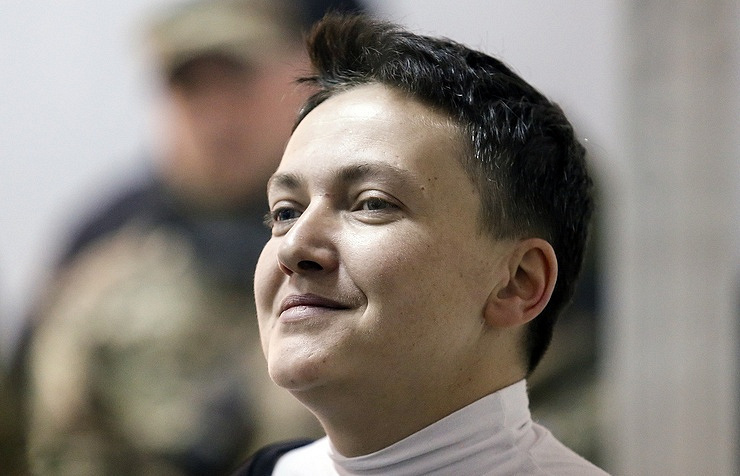 Upon her return to Kiev, Savchenko began an active political career as a member of the Ukrainian parliament. However, she fell into disfavor of Ukraine’s authorities after her private trips to the self-proclaimed Donetsk and Lugansk People’s Republics in eastern Ukraine and talks with their leadership. Hey Buddy!, I found this information for you: "Ukrainian lawmaker Savchenko remanded in custody". Here is the website link: https://russophile.org/ukrainian-lawmaker-savchenko-remanded-in-custody/. Thank you.